This red blend from Sonoma packs a surprise. A white grape is part of the mix. Can you guess which one? Rodney Strong Vineyards began 55 years ago when celebrated American dancer Rodney Strong embarked on a second creative endeavor: winemaking. Through the years Rodney Strong has earned recognition for exceptional single vineyard and reserve wines. 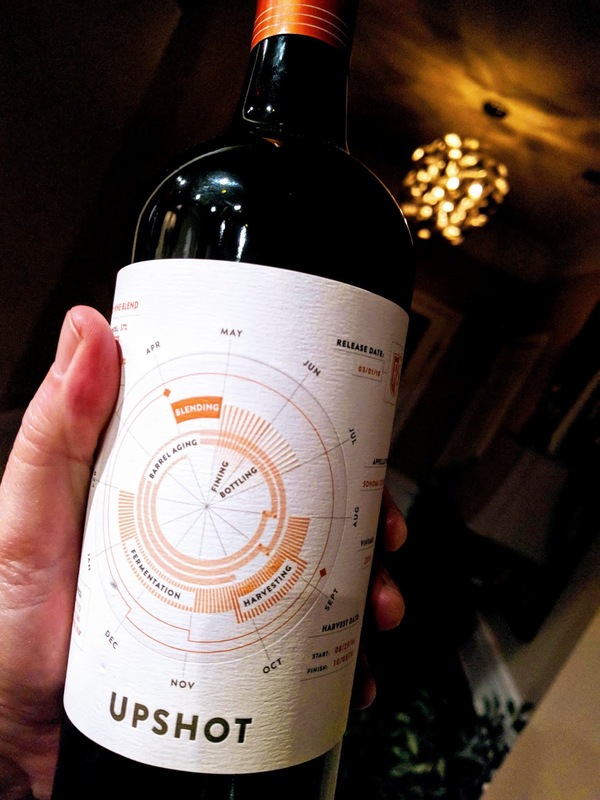 Though its portfolio covers the high end quite nicely, Rodney Strong recently debuted a reasonably-priced, fun red blend – Upshot. By my reckoning, the majority of US red blends are Bordeaux-style blends made mostly with Cabernet Sauvignon, Merlot and Cabernet Franc. The percentages of each will vary and other grapes will be added in too. In California there is a wealth of Zinfandel, the closest thing we have to an “American” grape (although it’s actually an ancient Croatian variety). The upshot of this is, well, wines like Upshot. The Zinfandel for Upshot comes from Rodney Strong’s Hubbard Ranch vineyard. It makes up 44% of the blend with 29% Merlot, 15% Malbec, 7% Petit Verdot and 5% Riesling. All the grapes are from Sonoma County, with the majority from Alexander Valley and Knights Valley. Surprising to us was the addition of Riesling, a white grape. Some of the finest Rhone wines are made with Syrah with a dash of the white Viognier. In this case, the Riesling adds the fun and some floral aromatics. This also contributes to a silky texture. On the palate Upshot is rich with dark cherry notes and black fruit. There is a bit of spice. Upshot has a healthy 14.5% ABV, which contributes to a full body. The tannins are dialed back and the finish is lingering. For a $28 SRP, this is a slice of the good life in California’s wine country. Upshot is a tremendous choice to pleasantly surprise guests at the next dinner party – or to pop open for some casual sipping if you can’t wait that long.